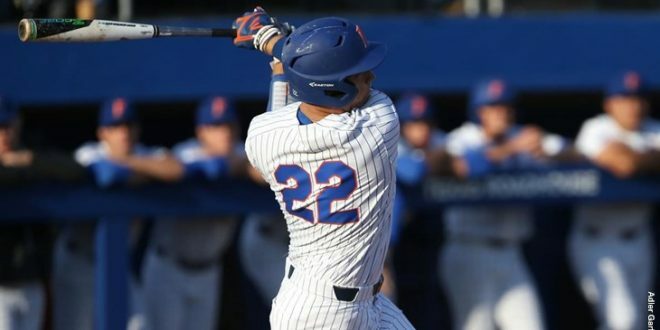 After decisively winning the first two games of the series, the Gator baseball team managed just two hits against the Kentucky Wildcats in its 3-2 loss on Saturday in Lexington. Tyler Dyson (5-3, 3.72 ERA) got the start on the mound for Florida and he dug himself in a hole early after walking two of the first three Wildcat batters of the day. A single by Kentucky’s clean up batter loaded the bases, and a ground out to the shortstop then brought in the first run of the game for Kentucky. With two outs in the inning, Dyson surrendered another walk to load the bases for the second time. But he was able to work out of the jam and force a fly out to end the inning. Dyson came back out for the second inning and picked up the first out right away. But he then gave up a single and his fourth walk of the game to put another Kentucky runner in scoring position. The Wildcats wasted no time in capitalizing on this opportunity as the next batter sent an RBI single to left field to extend their lead to 2-0. Dyson in trouble again in the second. After a walk and pair of hits UK has added another run and still threatening. In the third inning, Dyson came out to the mound hoping for his first clean inning, but after giving up a lead-off double, Gator coach Kevin O’Sullivan went out to make a pitching change, opting for freshman Jack Leftwich. Leftwich pitched well but was unable to keep Kentucky from taking advantage of their lead-off double. After the Wildcat runner advanced to third on a fly out, a sacrifice bunt brought him home and the third run of the game for Kentucky was charged to Dyson. Leftwich went on to turn in a career-best performance. He pitched six shutout innings while allowing just two hits. It looked like the Gators were going pick up where they left off in the previous two games once Deacon Liput led off the game with a double to right field. Nelson Maldonado followed with a walk, and they both advanced on a wild pitch. Jonathan India was then hit by a pitch, and Florida was in business with the bases loaded and nobody out. But the Gators couldn’t take advantage of their opportunity as the next three Florida batters went down in order. There wasn’t much offensive production for the visiting team throughout the rest of the game, but they were able to push one run across the plate in the top of the fifth inning. Nick Horvath walked, advanced to second on a balk, and scored after Liput reached on a throwing error by Kentucky’s second baseman. 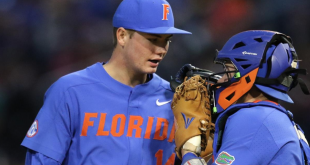 The Gators were shut down again until the ninth inning by Kentucky starter Justin Lewis, whose quality change-up allowed him to pitch through the eighth. “I think the disappointing thing, not just the first inning, sometimes you just have to credit the pitcher, but as the game went on I don’t think we made the adjustments that we usually do make. But credit their pitcher, it was a really good change up. 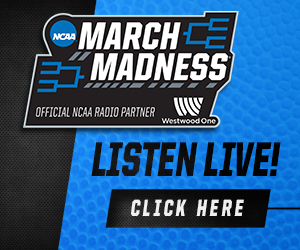 We knew that going in, we’ve seen Lewis enough to know that when he’s got that change up going it’s a tough pitch to handle,” said Gator coach Kevin O’Sullivan after the contest. 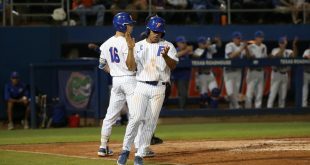 In the ninth, Florida quickly picked up its first two outs, but JJ Schwarz provided some hope by smashing a home run over the right center field wall. 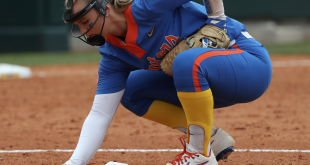 This gave the Gators their second run of the game and decreased the deficit to just one run. #Gators second hit of the day is a NO DOUBTER to right field for JJ Schwarz, his 10th homer of the year. Austin Langworthy then stepped up to the plate but proceeded to ground out to second to end the game. 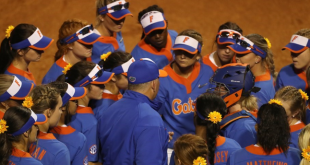 The Gators managed just two hits on the day, their fewest in any game so far this season. The Gators (34-8, 14-4 SEC) will travel back home to Gainesville and prepare to host Mercer in their mid-week match-up on Tuesday at 6 p.m. The Mercer Bears currently have a 27-14 overall record and a 7-7 record in the Southern Conference. The game will be broadcast on SEC Network +.